Our phones can get lost or stolen, and we don’t have any way to prevent it. But what we can do is wish for some means to keep our data safe or make the phone unusable in such cases. Google seems to have listened to our prayers and provided a new way to keep our phones safe using Factory Reset Protection (FRP). Though FRP is a useful feature, it can sometimes pose difficulties for people who need to use the phone by bypassing Google account verification. People who buy refurbished or pre-owned mobiles from third-party sellers can also encounter the same problem which leaves the phone unusable. 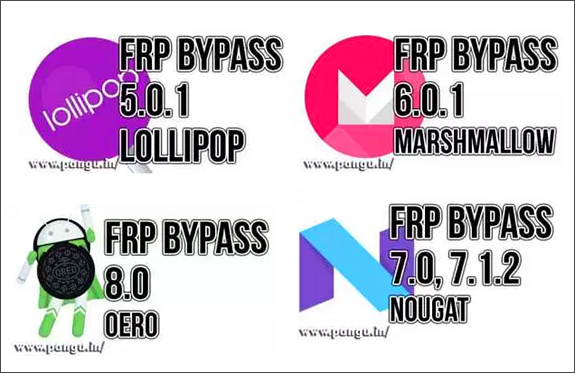 Today we are going to present the 8 best FRP bypass tools to avoid the Google verification and use your phone. But first, let’s find out a bit more about FRP. Let’s consider that your phone has been stolen or lost. Now the person who finds your phone will not be able to use it as you have already secured it with a numerical PIN or pattern. Right? But Android versions lower than 5.1 Lollipop could easily bypass the lock with a simple factory reset. To fix the issue, Google has introduced the FRP or Google Verification. Now someone can’t just factory reset your phone that easily- they will have to sign in using the Google email of the owner, or the one that was used to set up the phone. Even if the person does a factory reset, the phone will be totally useless unless he knows the Google credentials of the previous owner. If you ever face such a challenging situation, you can use an FRP bypass app to make your way around Google verification. So, which are the top 8 FRP removal tools you cannot miss out on? Let’s take a look at them below. Pangu is a free way to bypass Google account and remove the FRP lock. It works for Lollipop 5.1, Marshmallow 6.1, Nougat 7.0 and 7.1.2 and Oreo 8.0. The tool can be used for all brands of Android mobiles like Samsung, Motorola, Micromax, and SPD. You have to select the Talkback option and use Apex launcher to start the process. Then disable Google Play Services and Google Account Manager and switch off the Find My Device option. Then you need to install Pangu FRP Unlocker on your device to bypass Google verification. Pangu is easy to use and saves your valuable time. You can unlock your device and start using it normally in a matter of minutes. Wondering how to bypass Google account verification? 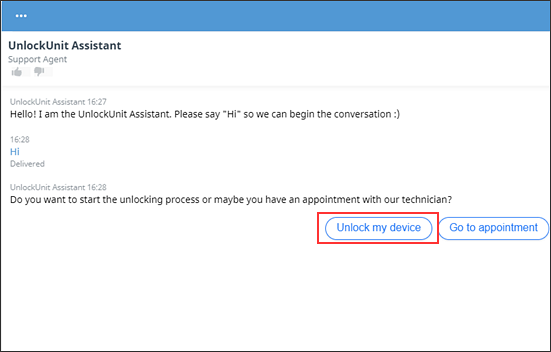 You can use this unique chat-oriented process to unlock your phone in easy steps. You don’t need to have any technical knowledge as a chatbot helps you with all the instructions. You are given full money back guarantee if UnlockUnit Intelligent Assistant is unable to unlock the FRP. The bot provides you superior technical support which bypasses Google verification in very less time. The advanced AI bot also offers a great conversational experience and doesn’t let you get bored during the process. Try out UnlockUnit FRP bypass tool if other methods haven’t worked for you. Many users have already tried it out and are satisfied with the results. 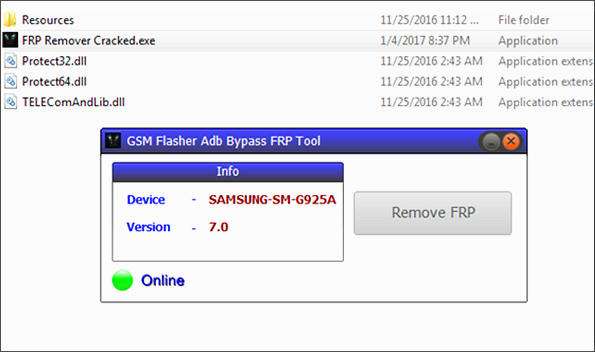 If you are looking for a Samsung FRP bypass tool, then this online service fits the bill perfectly! 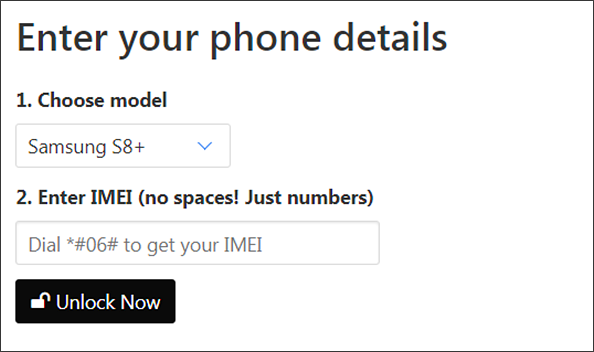 You don’t need to download any FRP bypass APK, watch confusing tutorial videos or follow complex instructions- you can unlock your phone using your IMEI number! Just head over to Samsung Reactivation Lock website and choose your Samsung model from the drop-down list. Then enter the IMEI number without any spaces and receive a unique user ID and password to reset your Samsung mobile. You will receive the new credentials within 24 to 72 hours of submitting your IMEI number. 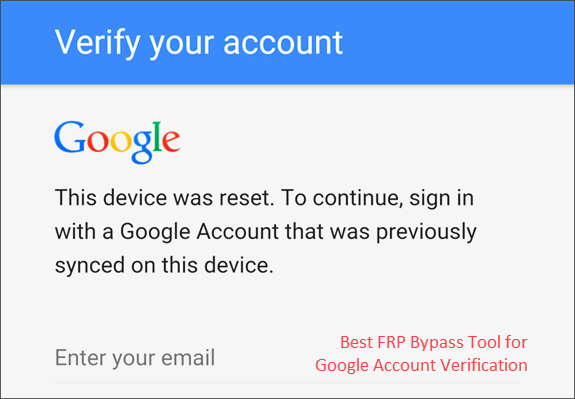 You can use this FRP unlock tool to get past the Google verification on your Android device. It has been developed by Gadgets Doctor and is a recent addition to FRP bypass tools. The program is useful to bypass Google account for HTC, MI, Qualcomm, Samsung, MTK and SPD smartphones. 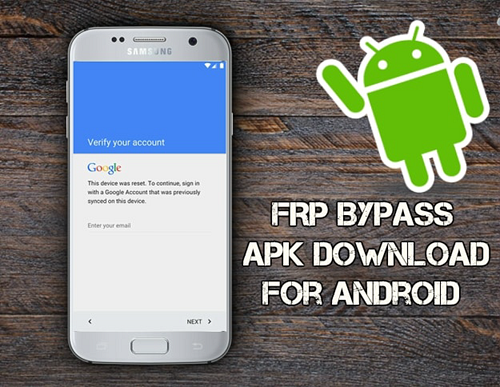 You have to download the FRP bypass APK from the website and then install it on your device. Then the tool will give you simple on-screen instructions to unlock FRP. Users will also be able to flash their phones using this tool. Flashing of mobile is required when you want to override the stock partition to install another image. You can also flash your device to install a new operating system using this Gmail bypass APK. To bypass the Google account, Samsung users can take help of this free tool. You can break the security restrictions of your phone to get access to your data. The tool is also useful when you have forgotten your Gmail credentials after a factory reset. You have to install the APK on your device by allowing download from unknown sources. There will be two files- the Samsung FRP bypass APK and SlideSync for PC setup. You will be able to access the app directly after the APK is installed. GSM Flasher is a flashing app but you can also use it to bypass the FRP lock on your phone. The first step is to download the setup file on your PC and install it. The program will work for all types of operating systems including Windows and Mac. After you have installed the program, you will be able to bypass Google verification by connection your mobile with a USB cable to your PC. The software also lets you remove pattern locks in case you forgot yours. The tool can also reactivate lock removers. D&G Password Unlocker can help Android users to remove FRP restrictions from their mobiles and tablets in a few seconds. The program will work for major brands including Samsung, Lenovo, Motorola, Xiaomi, Huawei, HTC and Yuphoria. The software supports all Windows platforms like XP, Vista, 7, 8 and 10. After downloading, you have to follow the instructions to install this FPR unlock tool on your PC. Then you just connect your mobile with a USB cable and reset it without needing Google email and password. 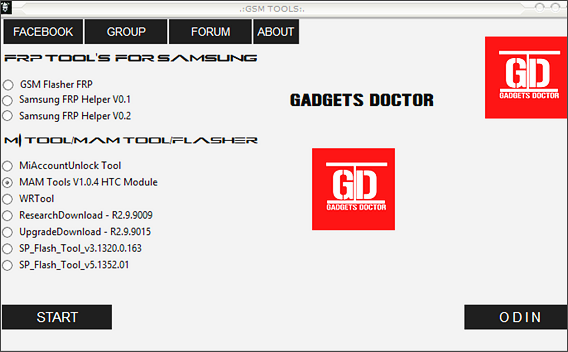 The tool also lets you flash Android mobile phone and rewrite the firmware. You can unlock your phone for free using this neat FRP removal tool. If you don’t mind paying a fee, you can get your Android phone unlocked by expert technicians. Just head over to Unlock Junky and choose your brand and model of phone. Then select your unlock type (FRP, in this case) and download the software. Now plug in your device and start a live chat with a technician who does all the work on your behalf. You can get your phone unlocked in 5 to 15 minutes without having to move an inch! The service is available from 9 am to 6 pm from Monday to Saturday. 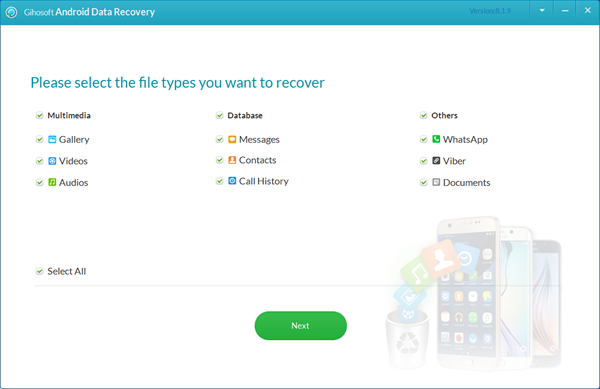 Tip: If you lost data after factory reset your Android phone, you can quickly get them back by using this free data recovery software. It’s powerful and easy to use. Here’s how to recover data after factory reset Android. The above tools are best and easy to use if you have been searching for how to bypass Google account verification and get past FRP. You can use the free ones or go for the tested and try out the paid methods based on your preference. 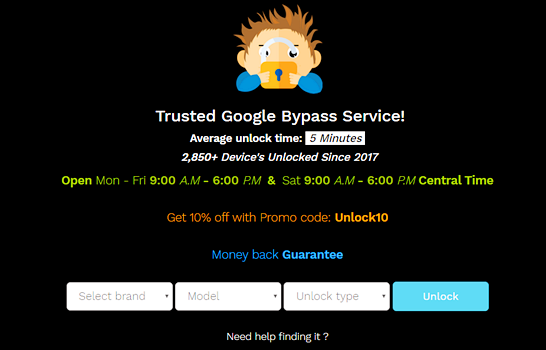 Keep this post handy as you may need it anytime you want to bypass Google account – you don’t want to forget any of the steps, do you?